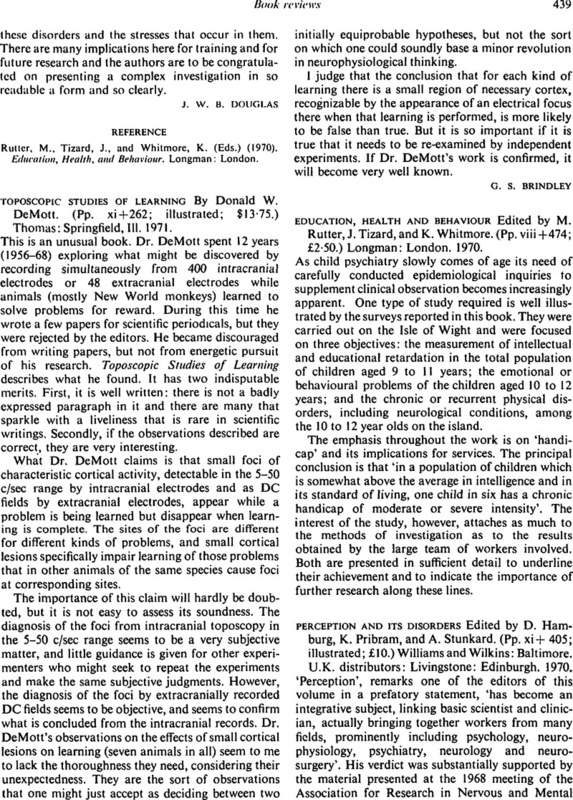 Perception and Its Disorders Edited by D. Hamburg, K. Pribram, and A. Stunkard. (Pp. xi + 405; illustrated; £10.) Williams and Wilkins: Baltimore. U.K. distributors: Livingstone: Edinburgh. 1970.